Specifications: 72 tweezers, the most on the market, remove the majority of hair the first time, saving time and eliminating potential skin irritation by reducing the number of passes required to achieve smooth skin 17-mm disc opening – the optimal radius to effectively remove hair. Our patented Glide Technology moves the tweezer discs over the skin with less irritation Dual-opposed heads gently hold the skin taut, making epilation more comfortable Staggered, dual-opposed heads cover greater surface area and grasp all the hair the first time. Middle lifting fingers prepare hair for removal by lifting flat or short hair, decreasing the possibility of ingrown hair Removes hair from the root, leaving skin smooth for up to 6 weeks. Silver Ion Technology provides antimicrobial protection. Curved shape is designed to hug the curves of the body. Ergonomically engineered handle balances in your hand and is easy to hold and maneuver all over the body Removes hair as short as 0.5 mm from the root. Gentle enough to remove delicate facial hair on the upper lip and chin. Great for removing hair on the legs, bikini line and underarms. Soft-touch grip gives ultimate comfort and control. 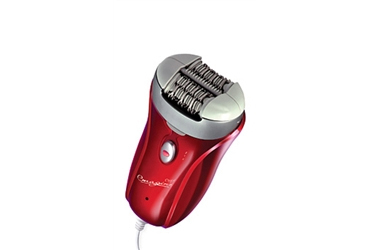 Dual speed control Electrically operated (corded) Emagine is the ultimate hair remover. Use with Kalo Post Epilating Spray a permanent hair inhibitor to slow hair regrowth and prevent hair from coming back! I ordered and recieved my Emoji epilator promptly. As it came from Canada, there were no extra cross-border fees. This is my second Emoji and I am happy with the results. 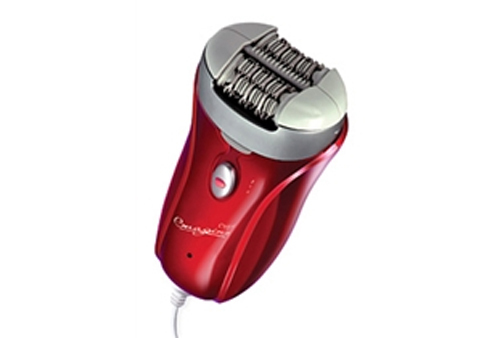 I have been using an Epilator for years mainly for my chin. In my thirties I started getting a few stiff hairs on my chin and would pluck them with a tweezers but over time they got to be more and more and plucking them was too time consuming. Shaving them just makes them worse so I got an epilator. I have actually had a few of them over the years (I am now 56) This is my favorite because it has two rows of tweezers so I can get the hairs from any direction. I also found that I like using this on my underarms and that way I do not have to shave, plus the hairs have gotten a bit finer over time. I really love the Emojoi Epilator and would not be without it. I can honestly say that this is one of the best epilators that I've purchased. With this innovative design, I find it much easier to remove hairs from hard-remove-areas such as my underarms and bikini line. This is a good investment when you finally found a product that gives you the results you need.